HomeBlogSocial Media MarketingInvest In Your Social Media Page: Your Business Will See Heights! Not too long ago, social media was considered a fad by many. Some even felt the social platforms like Facebook, Twitter, Google+, etc. are for kids and businesses could never benefit from these. Over the years, the use of social media has changed drastically and the skeptics were proved wrong. Allow us to share an insight on why you should invest in your social media page! Today Facebook, Twitter, Instagram, Snapchat, etc. have become marketing giants that offer entrepreneurs crucial data about their clients and a free way to reach them. The verdict is out: Social media marketing for bands is a necessity, it is no longer optional. Through social media, you can gain a large amount of data about your client in real time. Every day there are more than 500 million tweets, 95 million videos and photos shared on Instagram and 5 billion likes on Facebook. These are not mere numbers; behind the numbers is a sea of information about your prospective customer—who they are, what they dislike/like and how they perceive your product. If you have a strong presence on social media, it becomes easier for your customers to find and connect with you. The more you connect with customers on social channels, the more you are likely to retain them and increase brand loyalty. Social ads are the cheapest way to distribute content and promote your product. Additionally, some of the popular social platforms also offer useful targeting options to help you reach the right customers depending on their geographic location, interests, demographics, behaviors, and connections. Today, the majority of your customers expect you to be on social media because they look for instant response and 24×7 support. As a brand, you can leverage social media to increase sales and customer retention through timely service and regular interaction. One of the main reasons why you should invest in social media presence is to increase your website traffic. Besides helping you direct customers to your websites, the more shares, likes, and engagement you receive on social platforms the higher your search rankings will be. 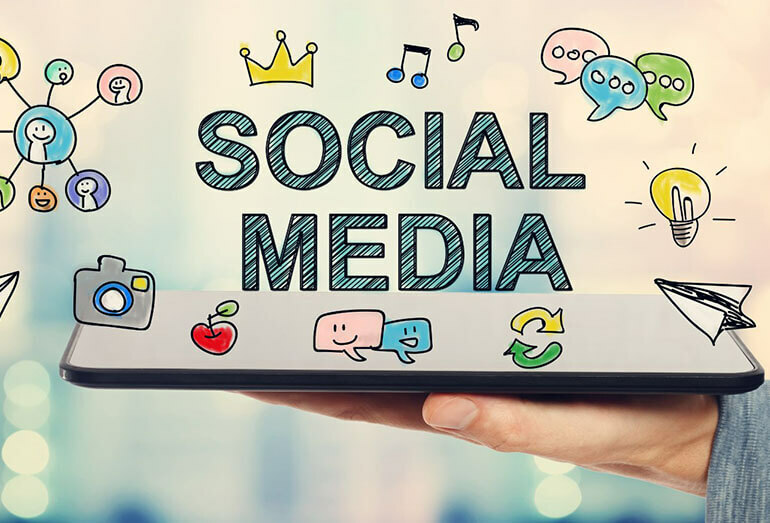 While it is important to manage your social media presence in an efficient manner, it is also crucial to monitor the activities of your competitors. Through social media listening, you can gain critical information about your competitors which will help you to maneuver strategic decisions to stay ahead in the race. Social media has immense benefits to help businesses grow; if you wisely invest in your social media page, you can learn more about your customers, engage with them and increase your business reach.